The Afghan government finally held the long-awaited parliamentary elections on Saturday in all but two of the country’s 34 provinces. Elections in Kandahar were delayed on Friday following Thursday’s attack that killed the provincial police chief Gen Abdul Raziq and at least one other senior official. Elections in Ghazni were however postponed a few months ago following heated disagreements over constituencies. Polling stations meanwhile closed between 4pm and 6pm across the country but some will open on Sunday – after many remained closed throughout the day. 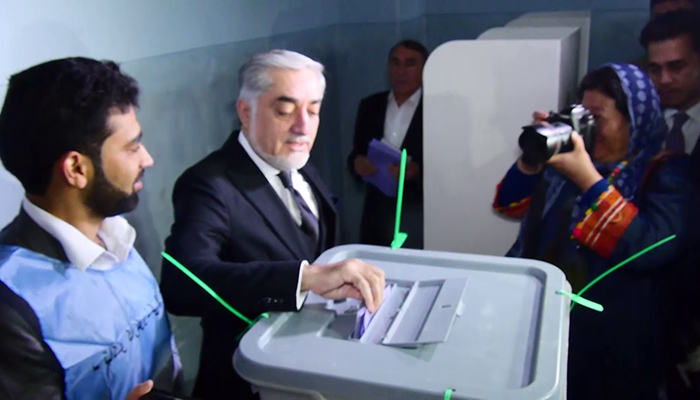 This was the third parliamentary election held in the country since the collapse of the Taliban regime and establishment of the new government in 2001. This year’s race saw over 2,500 candidates run for just 249 seats in the Wolesi Jirga, the Lower House of Parliament, while the IEC had 5,070 centers across the country. 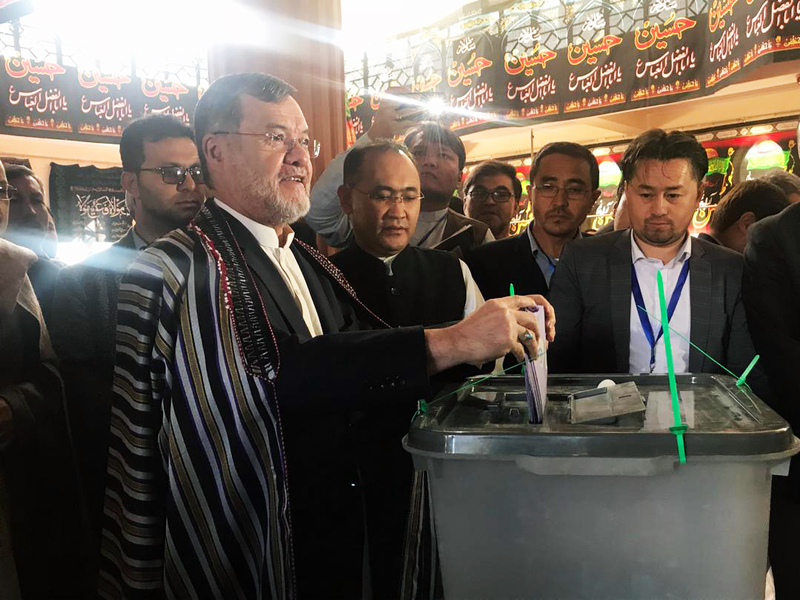 Polling stations officially opened at 7am on Saturday, when President Ashraf Ghani cast the first ballot, followed by other high-ranking officials including the head of the IEC Abdul Badi Sayyad. Ghani cast his vote at a polling station at the Amani High School in Kabul where he also addressed journalists and called on the nation to use their right to vote in order to choose their favorite candidates. “I request every Afghan to use their right to vote today. It is a right and a responsibility,” Ghani said. Ghani also said elections in Kandahar would be held next week and that efforts were being made to organize elections in Ghazni. He also mentioned the “freedom martyrs” who had been killed during the election process. Later that morning, Chief Executive Officer of the National Unity Government Abdullah Abdullah visited Naderia High School in Kabul where he used his right to vote. Speaking after casting his ballot, Abdullah said holding elections was a big step towards changing people’s lives. According to him, the vast number of people that turned out to vote was testimony to the people’s anti-war and pro-peace sentiments. “People, by their vast turnout at polling centers, are saying no to violence,” he said. Speaking on the security situation in the country, he said enemies of Afghanistan do not want a democratic system in the country. He also said security forces were doing everything possible to ensure people’s safety on Election Day and that people would not boycott elections because of any threat. Second Vice President Sarwar Danish also cast his vote at a polling station in the west of Kabul on Saturday morning. Danish however waited for 45 minutes to vote. He told TOLOnews reporter Farahnaz Frotan that the center, at Baqir ul Olum mosque, only opened after election observers arrived. "It is five minutes to 8am, but the commission is not ready," said Danish. Other government officials in Kabul and provinces went to polling centers and cast their votes. 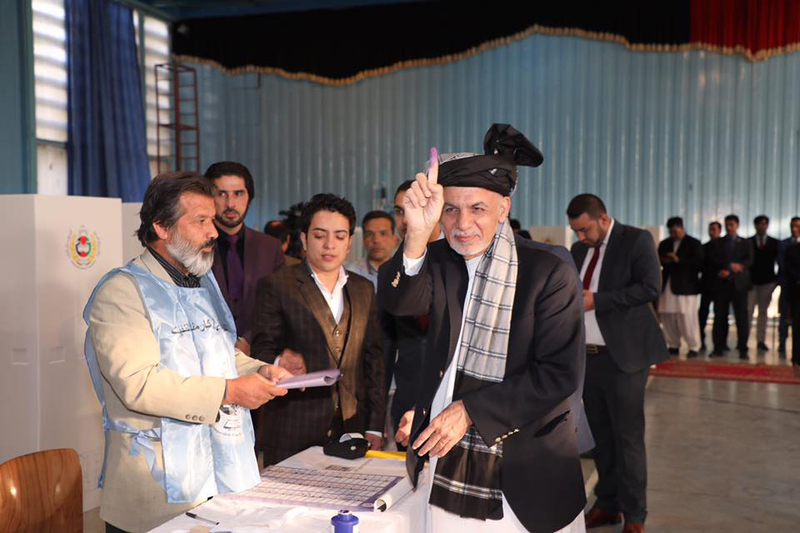 Former national security advisor Mohammad Hanif Atmar, chairman of the High Peace Council Mohammad Karim Khalili, Acting Foreign Minister Salahuddin Rabbani were among current and former government officials who also used their right to vote. Despite numerous challenges around elections, women turned out in their thousands. TOLOnews journalists reporting from polling stations in Kabul and across the country said the number of women at polling stations was astounding – particularly in Kabul, Herat, Bamiyan, Balkh and other provinces. But not everything went smoothly and many people slammed the IEC for not having been fully prepared. As a result the one-day election was expected to be extended by an extra day in some areas – mostly due to polling stations not having opened. The problems also included the late arrival of election materials, the absence of IEC staff at some polling stations, wrong ballot papers being sent out and technical problems with the biometric devices. 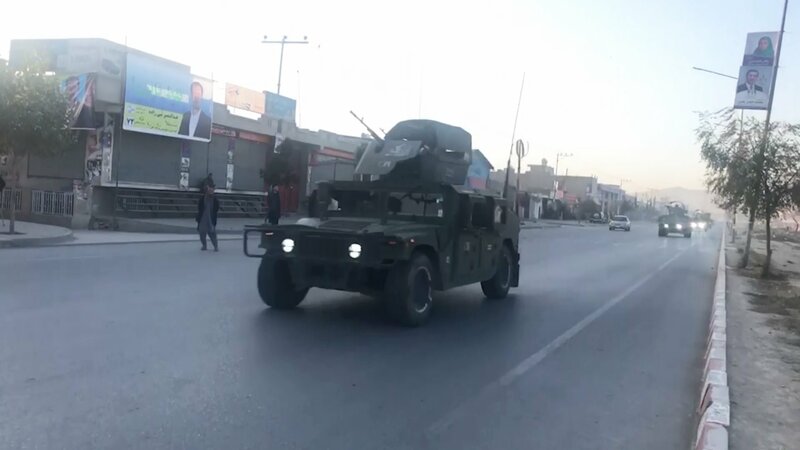 Some Herat residents said they were sent ballot papers for Bamiyan. Voters lining up at polling centers said some of the centers had not even opened by 11am – when they should have started at 7am. TOLOnews meanwhile received at least 10,000 complaints from voters across the country via WhatsApp and hundreds more on Face Book. Complaints included a wide range of issues, including polling station chaos. Second Deputy of Chief Executive Officer Mohammad Mohaqiq told TOLOnews early in the day polling stations in the west of Kabul in particular had not opened on time. The Independent Electoral Complaints Commission (IECC) also acknowledged there had been problems at many polling centers. IECC spokesman Ali Reza Rouhani said at a press conference during the course of the day that there were problems in terms of managing the elections. "We are thankful to the Afghan people and security forces who helped the elections to happen today, but until now the election process has not progressed smoothly,” said Rouhani. Institutions overseeing the election process said they had recorded thousands of complaints regarding Saturday’s elections. 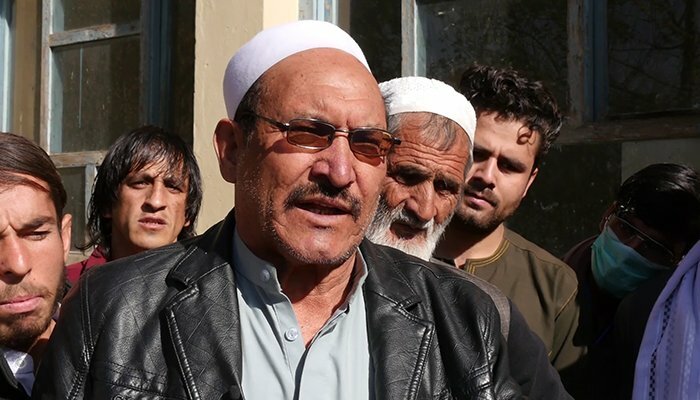 The IEC chief meanwhile said on Saturday afternoon that a number of polling stations did not open as scheduled and that there was a chance they would have to open these centers on Sunday so as to ensure everyone had a fair chance to cast their vote. Among the other challenges, security had been one of the biggest concerns by government and the people. In an interview with TOLOnews, Interior Minister Wais Barmak told TOLOnews on Saturday evening that 192 security incidents had been reported countrywide during the day. He said these included a number of different types of incidents including grenade and IED explosions. Barmak said at least 17 civilians had been killed and 83 civilians wounded in these incidents and that there had been 1,700 threats issued. The minister also said 10 policemen were killed and one Afghan National Army soldier was killed. Seventeen security forces were wounded throughout the day, he added. Government meanwhile also announced late Saturday that Sunday would also be a public holiday – in order to accommodate the IEC and the people who were not able to vote. The IEC is likely to extending elections in some parts of the country and Kabul after many polling stations failed to open.